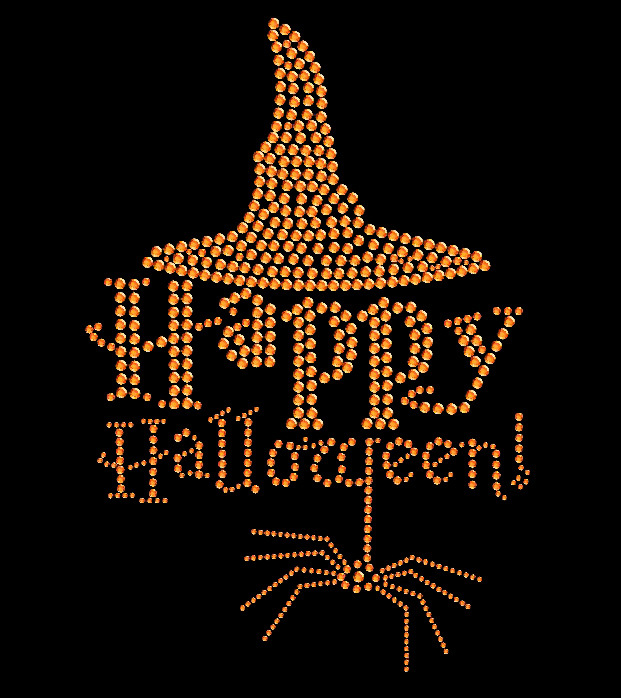 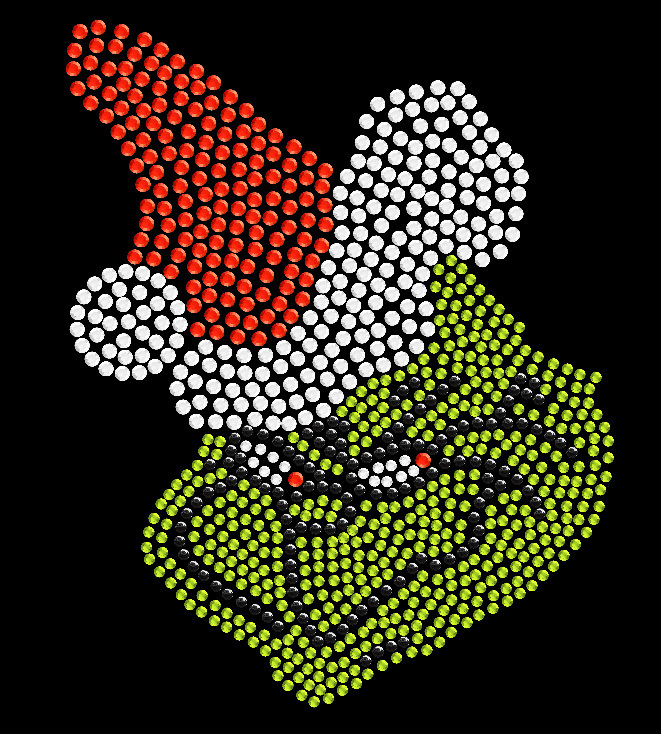 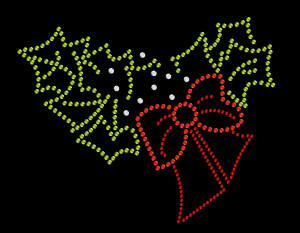 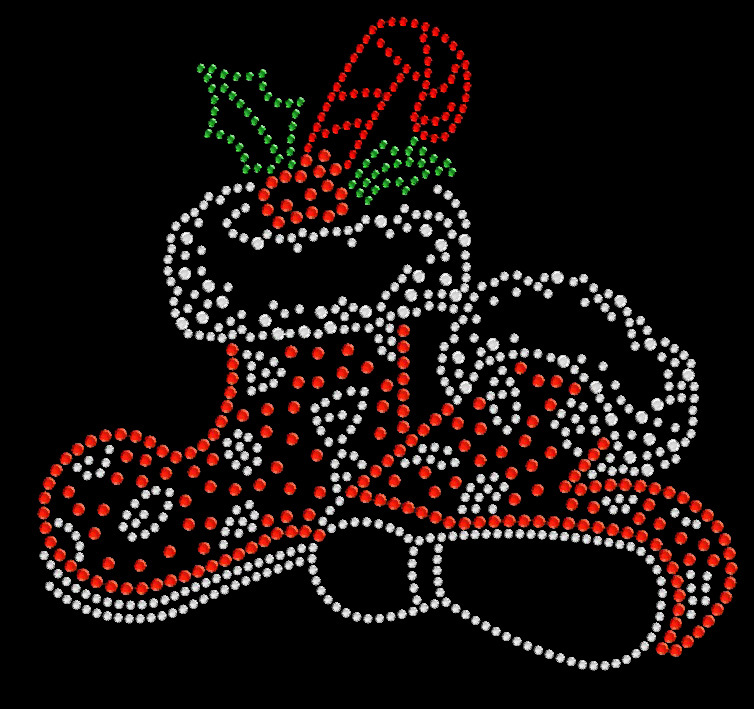 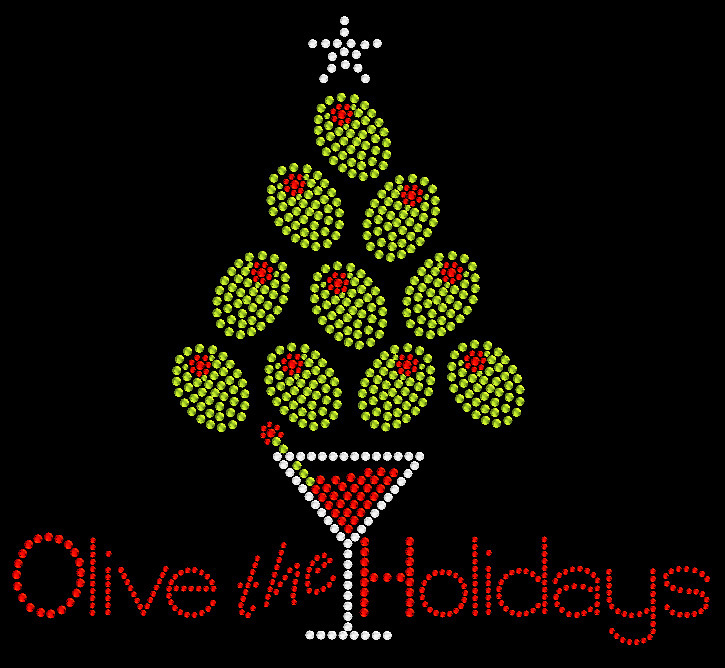 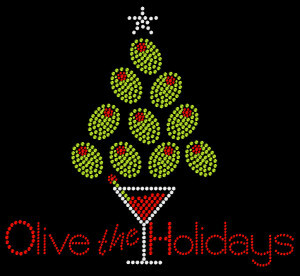 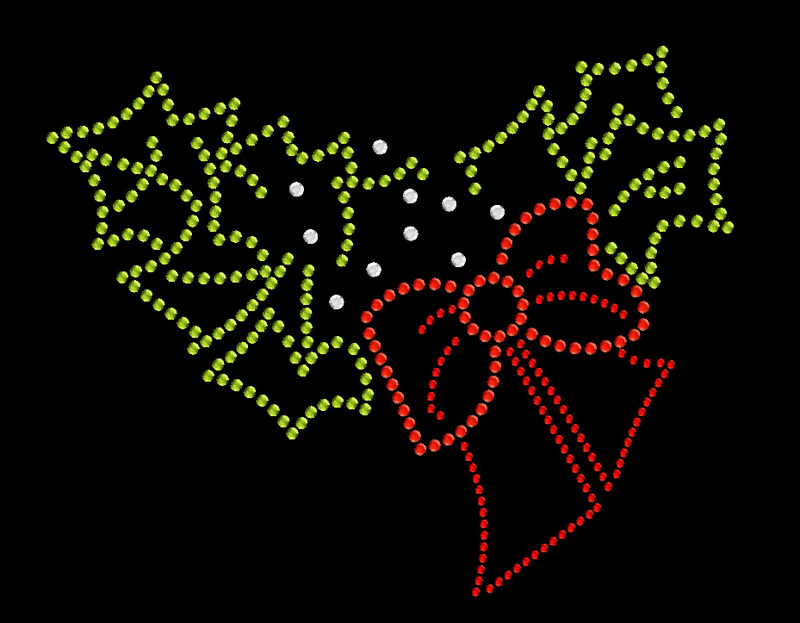 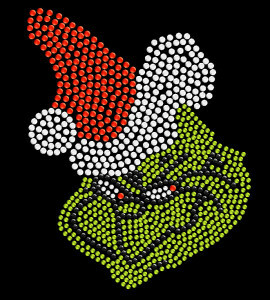 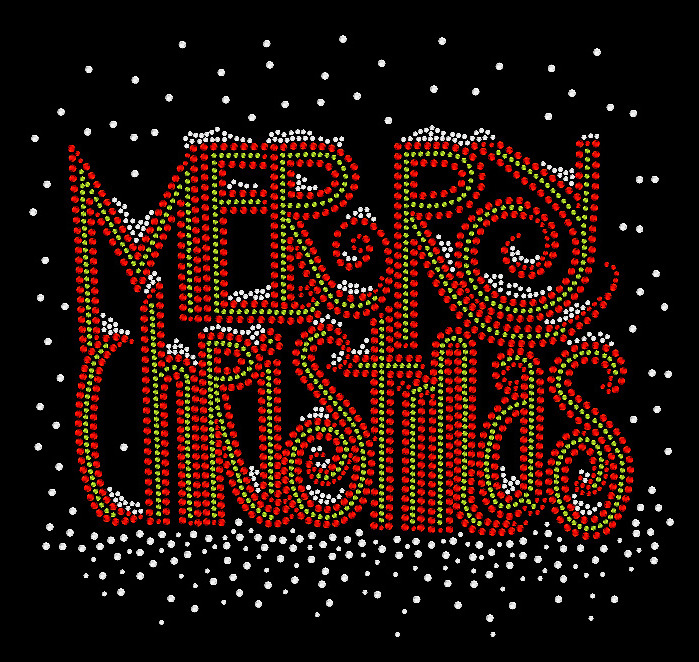 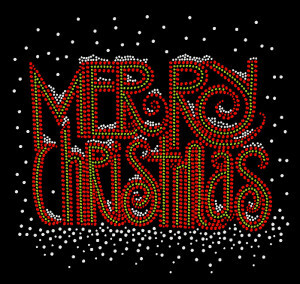 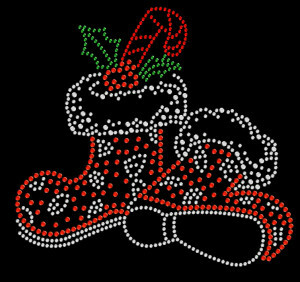 Spice up your holidays with our custom Christmas or Halloween Rhinestone Iron on Heat Transfers. 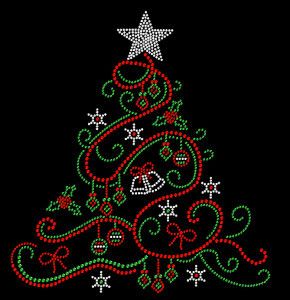 They are also available made with spangles, sequins and rhinestuds. 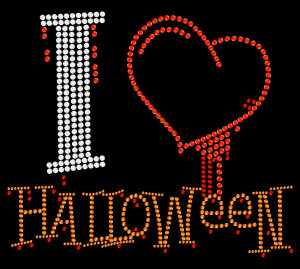 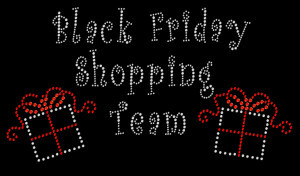 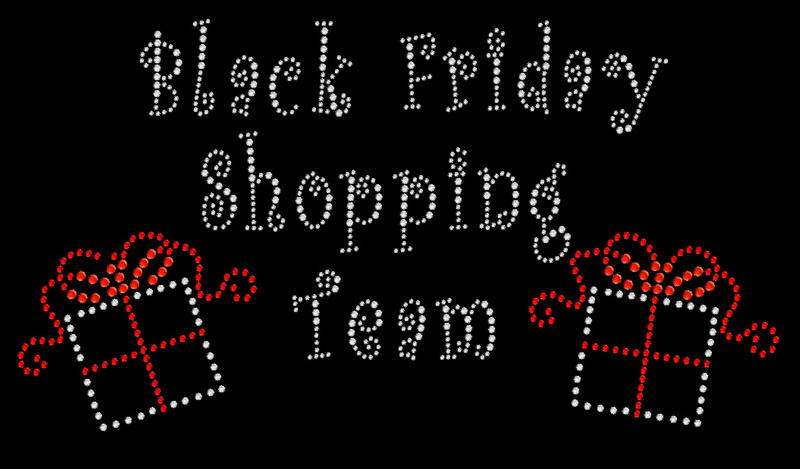 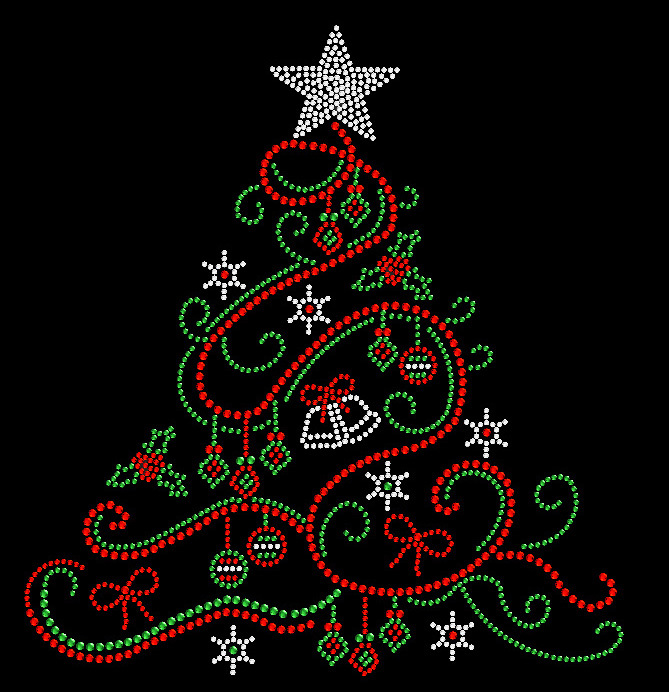 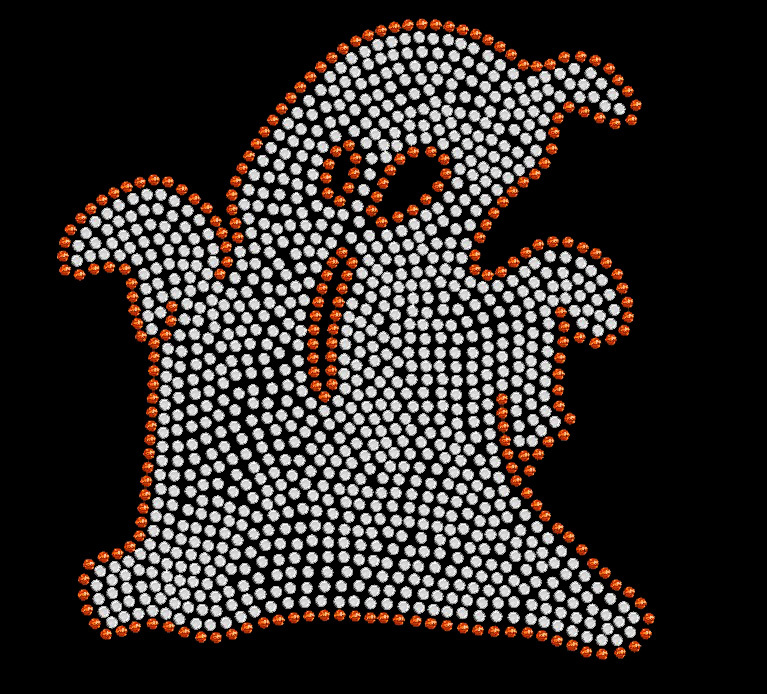 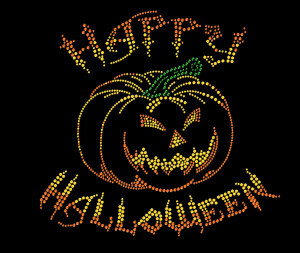 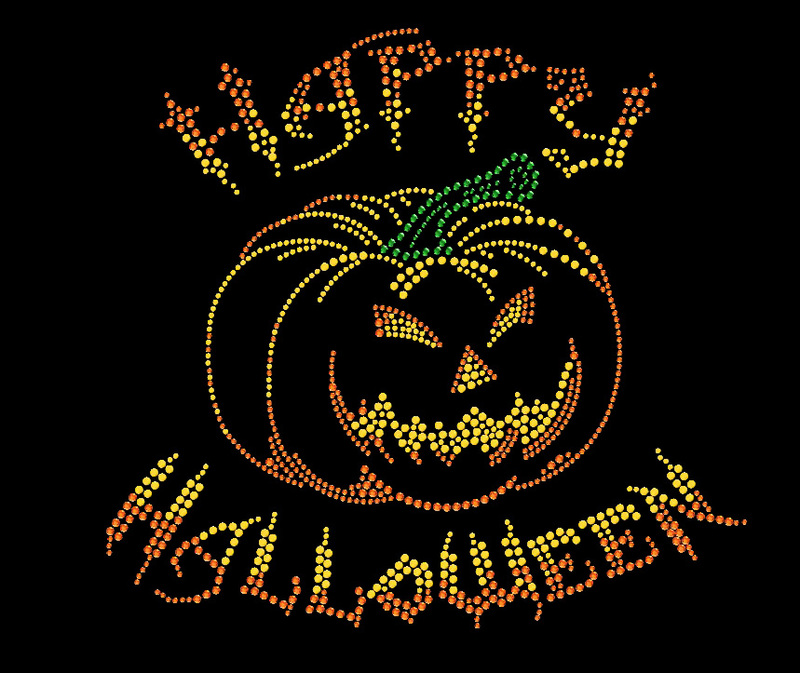 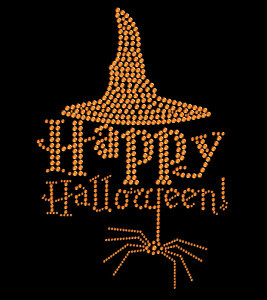 All of our Christmas and Halloween Rhinestone bling transfers are original designs. 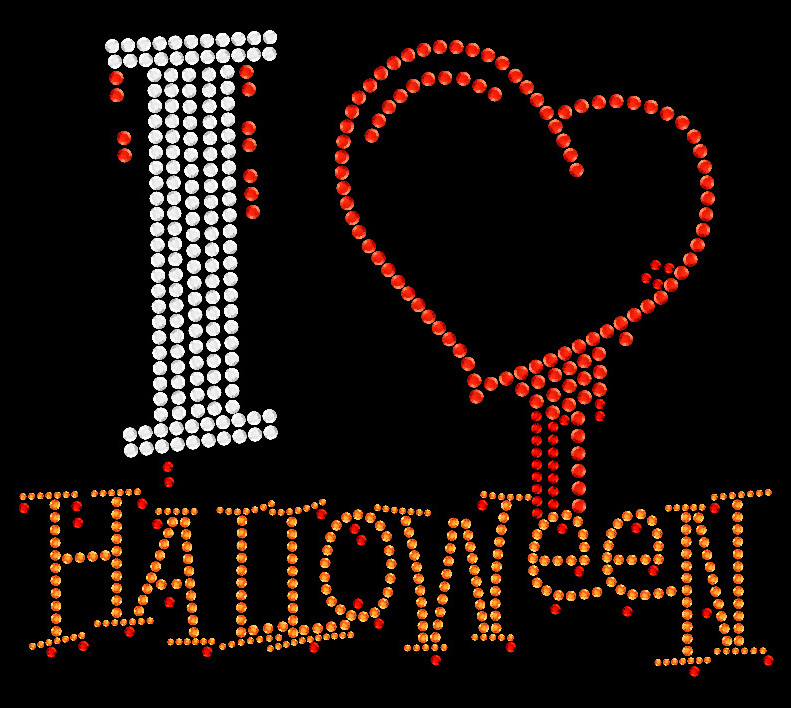 We have a wide variety of styles and colors to choose from and we offer custom bling designs made with your image or text. 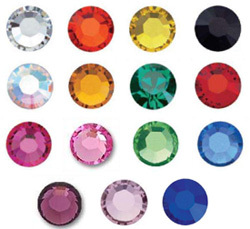 We offer low minimums, fast turnaround times, great quality, excellent customer service and good pricing.